Soccer Youth Clinics | Gaithersburg, MD : F.S. Soccer Inc. Partner with F.S. Soccer, Inc. for the ultimate coaching experience. Children and young adults of all ages can benefit from one-on-one practice and personalized instruction that best fits their learning style. All our trainers and personal coaches have proven experience at the professional or college level, and all of our staff members are committed to providing your athlete with a challenging and rewarding experience! Need professional help coaching your team or coordinating your athletics program? We have extensive knowledge and a wealth of experience to offer your team regardless of age or ability level. Whether you are a classic, recreational or travel team, let F.S. Soccer improve every player on your team with fun and dynamic learning sessions. As part of the team training clinic, we’ll utilize modern teambuilding exercises to optimize participation with every member of the team and reinforce the fundamentals of soccer with partner exercises and competitive challenges. For information regarding any of our soccer training clinics, please contact us at 301-515-0700 today. F.S. 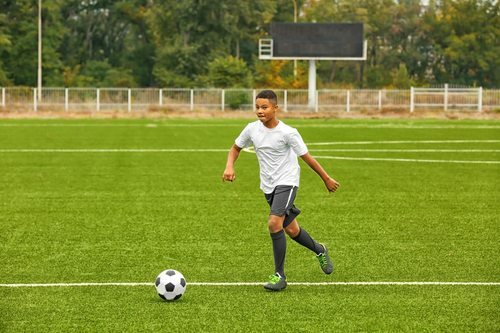 Soccer offers soccer youth clinics and coaching programs to all ages in Gaithersburg, Rockville, Silver Spring, Bethesda, Potomac, and surrounding MD communities.